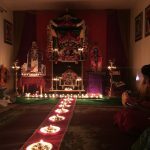 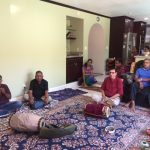 Guru Poornima was celebrated with akanda nama in Venkat ji and Jayaji’s residence on July 8th with paduka abhisekam. 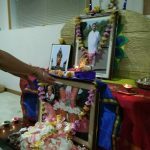 It was followed by madhuragitam singing, offerings to Guruji and delicious prasadam. 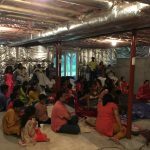 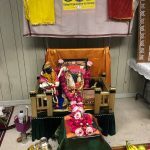 We also had a celebration on Sunday with nama for 4 hours, padhuka abhishekam and prasadam on July 9th and Raghuji and Teja Ji’s residence.